Bread! 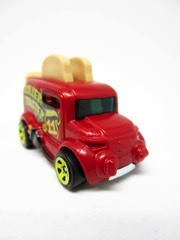 The Mattel Hot Wheels Roller Toaster is one of at least two flavors so far, and the bread really can be pressed down. It won't stay there, but it is able to be moved. So read on, and come back tomorrow for more! 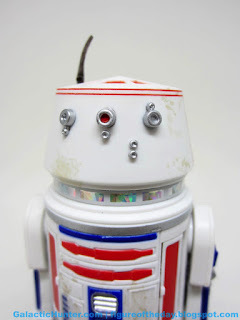 Via the Star Wars Galactic Hunter Figure of the Day Blog: R5-D4. It's a Gamestop exclusive and the debut of this figure at this size. Read the whole review. And there's no picture, but you can order Transformers Generations Titans Return Trypticon from Entertainment Earth too! 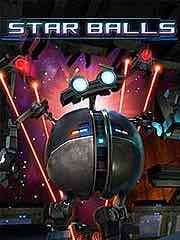 "Star Balls offers unique game play, sci-fi, physics tricks and adventure to bring fun to a new dimension. Immerse yourself in the most addictive casual available. Launch Orbit, Tess La Coil, or Torque through a gigantic spaceship, avoiding black holes, flames, and killer maintenance bots to win your way to freedom!" Also available: Tokyo 42, Lock�s Quest, Crossout, Tropico 5 - Complete Collection, Dragon Bros, The Walking Dead: A New Frontier - Episode 5, and Victor Vran. ??????! The Funko Pop! Television Twin Peaks The Giant Pop! Vinyl Figure will let you know that it is happening again. So read on, and come back next week for more! This week's 3DS offerings: Of Mice And Sand. This week's batch of titles on the eShop: Coqui The Game, Swap Blocks, and Sphere Slice. This week's batch of titles on the eShop: Astro Duel Deluxe and Last Resort. Works! 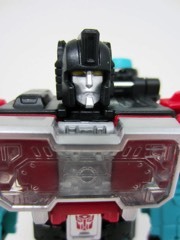 The Hasbro Transformers Generations Titans Return Perceptor is a working microscope, and transforms similarly to the original. So read on, and come back tomorrow for more! Via the Glyos News Dump: More New Bit Figs En Route Wednesday. New molds, new colors, and more? I have no idea, but it's Wednesday at 9:30 PM Eastern. Update - it's sea life. Via TFormers: Tokyo Toy Show 2017 Transformers Presentation Details. Via TFW2005: Transformers Legends Sixshot, Broadside, Misfire, and Doublecross Official Images. 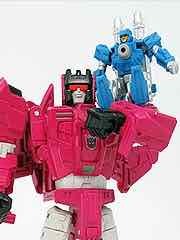 Not only does Misfire look like the comics (and cartoon), but he has a Targetmaster buddy - like oh so many of these. 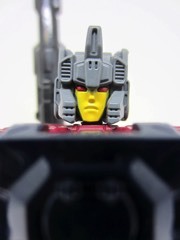 In most cases that Targetmaster is going to be be what makes you buy (or skip) a bunch of these, and Sixshot's new helmet is nothing to sneeze at. Doublecross' Titan Master is now painted like Pirate Lion, so that's also a real winner. 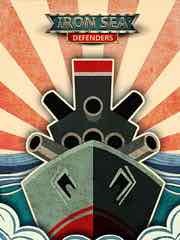 Still, the US Broadside isn't bad by comparison, so may your wallet be your guide. Evil! 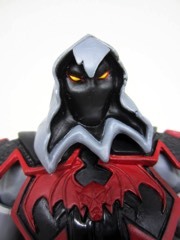 The Mattel Masters of the Universe Classics Horde Wraith has a stand, but he doesn't much seem to like it. So read on, and come back tomorrow for more! 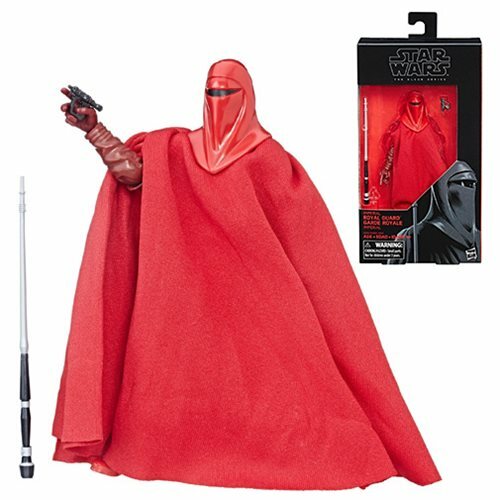 Via the Star Wars Galactic Hunter Figure of the Day Blog: Kylo Ren (6-Inch Value Figure) . As of yet none have been spotted in the USA, so this Australia/Mexico/other exclusive is one of those things you might want to get. Read the whole review. 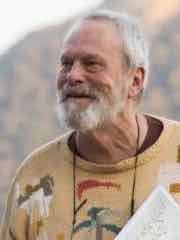 Via Variety: Terry Gilliam�s �Don Quixote� Shoot Wraps After 17 Years and Multiple Setbacks. A documentary on this film's failure back from when it starred Johnny Depp came out almost 15 years ago. Floods, casting changes, disease, and other problems kept this movie from being completed... and it's not done yet. Amazon has distribution rights in the USA and presumably it will get edited and released, but if you believe in curses this should be a project to keep watching for years to come. Gold! The Onell Design Glyos Aurustell Elite Armorvor is a beast of a good figure, so go get one if you can find one on the cheap. So read on, and come back tomorrow for more! 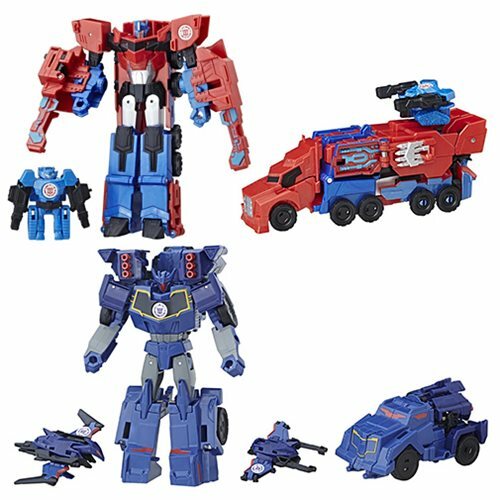 New SDCC Reveal - Transformers Optimus Prime... the first one? Via Tumblr and Hasbro's PR: TRANSFORMERS: THE LAST KNIGHT VOYAGER CLASS OPTIMUS PRIME Figure. Packaged in its alt mode, this Optimus has more paint and a part of a tire. It definitely looks better than the mass release, but if it's $20 extra better - and the time in line - is up to you. I'd recommend the mold in whichever color you prefer, or can find. Ad: Pre-Order World of Nintendo Super Mario and Princess Peach 8-Bit Mini-Figures 2-Pack - Convention Exclusive from Entertainment Earth! 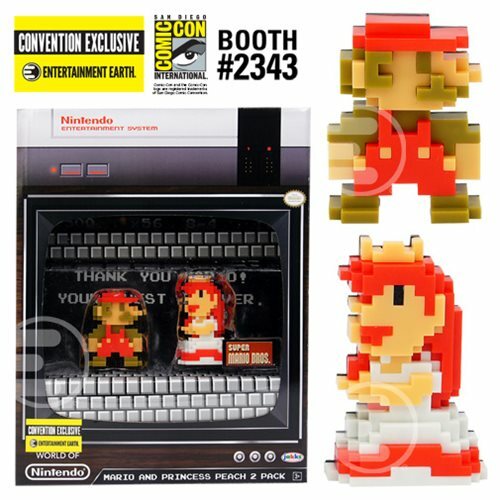 This set has the first on-sale of Princess Peach in a collectible CRT TV box with an NES on top of it. Could you ask for a better exclusive? 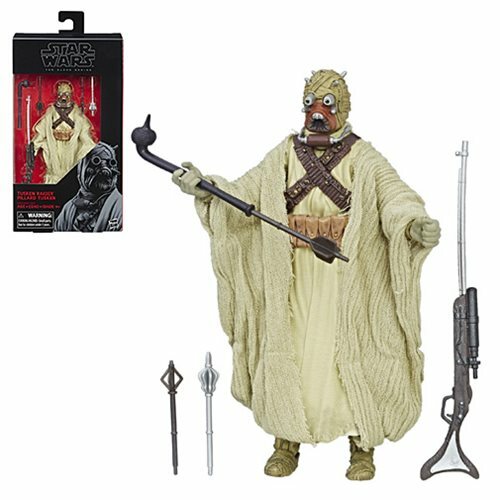 Maybe - and you can find a ton of the very best from Entertainment Earth right here. Limited to 3,000 sets, you might want to pre-order yours if you can't make the show. New to the Playstation 4 this week: Dark Rose Valkyrie, Dirt 4, The Elder Scrolls Online: Morrowind, Jump Stars, Neighborhorde, Perception, Randall, Special Delivery, Superbeat: Xonic, The Town of Light, Victor Vran, and Wipeout Omega Collection. 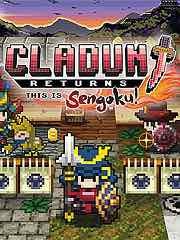 New to the PSP Vita this week: Cladun Returns: This is Sengoku!, Plague Road, and Farming Simulator 18. Bright! 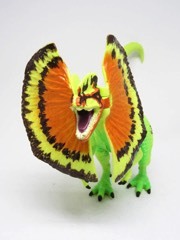 The Hasbro Jurassic World Hybrid Dilophosaurus Action Figure is one of at last Hasbro items for the Jurassic licenses, and they're off to Mattel for 2018. So read on, and come back tomorrow for more! 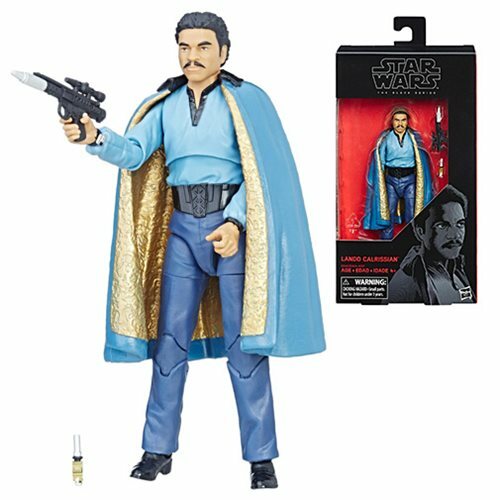 Via the Star Wars Galactic Hunter Figure of the Day Blog: Lt. Sefla. It's a seemingly online exclusive so far. Read the whole review. 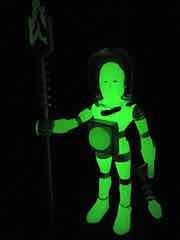 Via the Outer Space Men News blog: Cosmic Radiation Mystron - New Outer Space Men on Friday Night. Although, I should add it looked like it was able to be added to the cart last night. If this was an oversight or a sneak early release, we don't know, as their Instagram says Friday. It's great! Our review is done and it will be up on Wednesday. It glows brightly and I love it. 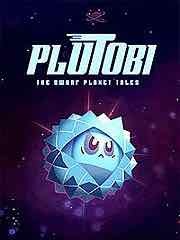 "Plutobi (the nickname of Pluto) was kicked out of the planet list in 2006 and became a dwarf planet, because he is so small and weak. 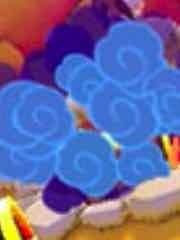 So he decided to show his power to other planets in the Solar System, by absorbing many asteroids and becoming stronger. 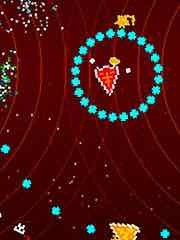 Defeat about 60 Planets, Moons and Mega Asteroids." Also available: Perception, SUPERBEAT: XONiC, Refunct, ZAZEN (Zen Meditation Game), Little Nightmares Complete, The Elder Scrolls Online: Morrowind, and Marvel�s Guardians Of The Galaxy: The Telltale Series � Episode 2. Her log might have something to say about this. The Funko Pop! 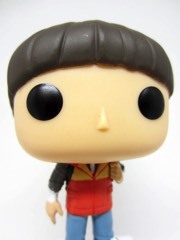 Television Twin Peaks Log Lady Pop! 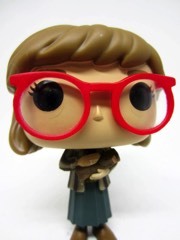 Vinyl Figure is based on the original show, complete with glasses and log. So read on, and come back next week for more! 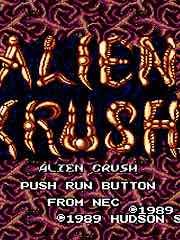 The virtual console has added the games Alien Crush and Neutopia II from the TurboGrafx-16. 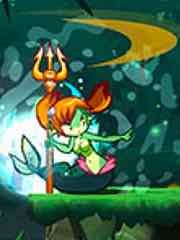 This week's batch of titles on the eShop: Shantae: Half-Genie Hero and Shock Troopers 2nd Squad. What a Krok! 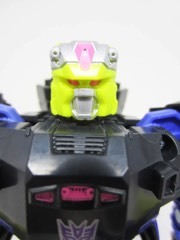 The Hasbro Transformers Generations Titans Return Decepticon Krok is a more literal update of the non-transforming character that looks sort of like a stealth bomber. So read on, and come back tomorrow for more! 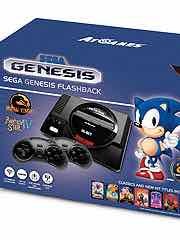 Via AtGames (as a PDF): The Sega Genesis Flashback in stores September, 2017. This is interesting for many reasons - supposedly the controllers are Bluetooth this time. It's HDMI. It can use cartridges if you have them. Some forums are reporting a $79.99 cost with a September 15 release date, but the big news reports do not have this information. AtGames is a Chinese manufacturer who has been cranking out Genesis clones for years - you can find them at Target or Toys R Us with a burst on the box that looks a lot like it has a Nintendo Seal of Quality on it. Many of the games are homebrew or obscure titles that you may not consider worthy of counting toward the total, and previous models didn't support on-console saving - which means you won't finish Phantasy Star IV. This new model boasts Columns, Golden Axe, Sonic 2, Shining Force, Shinobi III, and others on the mock-up packaging. Clone hardware hasn't always delivered a pixel-perfect experience, but sometimes you get something pretty awesome at a price that, considering inflation, ain't bad. In this case you also get something called Mr. 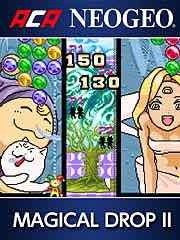 Balls, which probably isn't something anyone actually remembers because like Curling 2010 and Fish Story, they seem to be more or less exclusive to these consoles. Of the 85 titles, I think I recognize about 40 as being Genesis games, the rest don't sound familiar - I mean, I know what Chess or Air Hockey are, but I don't remember them as games for a Sega console from 1989 onward. 7 of the titles are Sonic games. Also, Ristar. Orange! 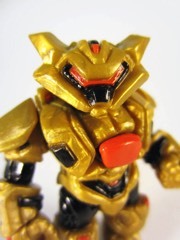 The Onell Design Glyos Neo Granthan Skaterriun Mimic is a sharp, modern-looking take on the Glyos Beast body. So read on, and come back tomorrow for more! 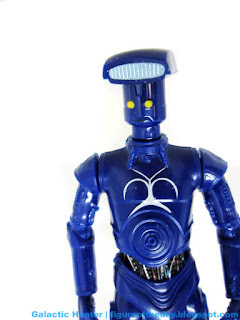 Via the Star Wars Galactic Hunter Figure of the Day Blog: Vendor Droid (Blue, Droid Factory). It's a Disney park exclusive, provided you're at a park with the parts to build your own. Read the whole review. Ad: Pre-Order new Parks & Recreation Pop! Vinyl Figures from Funko and Entertainment Earth! 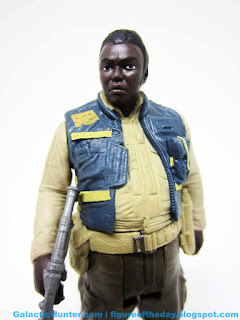 Five new figures are up now with delivery expected in August, and you if you want more Parks & Rec items you can find a ton of the very best from Entertainment Earth right here. Metroid Prime 4, Really? Samus Returns for 3DS. New! 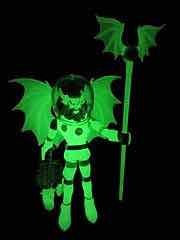 The Outer Space Men Cosmic Radiation Mystron Action Figure hit the web last week, so you can/should consider ordering yours if you want one. It glows, it's Mystron, there's everything to like here. So read on, and come back tomorrow for more! Via Twitter: New #amiibo approaching! Samus Aran and the Metroid amiibo will be compatible with #Metroid: Samus Returns. They will be packaged together as a twin-pack, and are expected to debut September 15 with Metroid: Samus Returns for the Nintendo 3DS/2DS family. 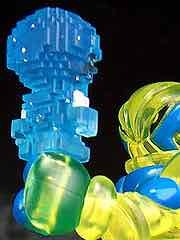 Older Metroid-themed Amiibo toys should be compatible, so snap those up (or don't) as we don't know how they will function yet. You may actually be able to find Samus in her Zero Suit or normal costume at toy stores near you right now... last Spring, the Zelda-themed ones up and vanished upon release of Breath of the Wild. Since there are Amiibo figures for this game, you may be lamenting your lack of "New" 3DS or 2DS units - you might still be able to pick up a standalone Amiibo Reader at Toys R Us or other retailers for about $20. You can pre-order the Metroid: Samus Returns game at Amazon. At this time the LE of the game - which has a bonus soundtrack CD - is not up for grabs. Metroid Prime IV for the Switch was also announced. 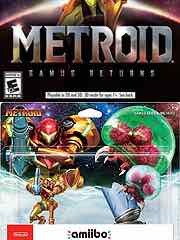 Metroid: Samus Returns is a 2D remake of 1991's Metroid II: Return of Samus, a GameBoy game remade by fans as AM2R a couple of years ago. It was superb - this new version seems to be pretty complicated with lots of new moves and tricks. Via Phil and Engadget: Atari 2600 fans get the revival console they deserve. That almost sounds menacing, doesn't it? 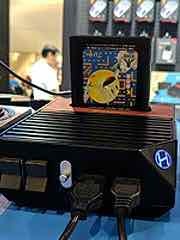 The $80 clone system comes from Hyperkin of Retron fame, and it takes USB or vintage controllers. For the curious, the Sega Genesis uses the same connector and you can use a Sega pad with vintage Atari hardware. Will you need to go dust off your old games? Probably! You haven't played them since the 1990s. New to the Playstation 4 this week: Iron Sea Defenders, Pixel Heroes: Byte & Magic, Le Tour de France 2017, and Cars 3: Driven to Win. 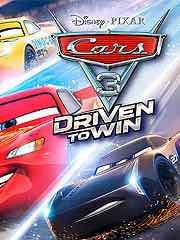 New to the Playstation 3 this week: Cars 3: Driven to Win. What is it? 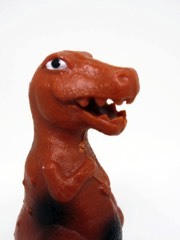 The Unknown Wind-Up Brown Tyrannosaurus Rex is in one of my toy boxes and has been for years - it's charming, quirky, and unidentified. So read on, and come back tomorrow for more! 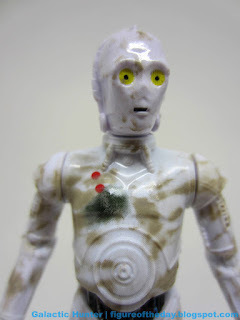 Via the Star Wars Galactic Hunter Figure of the Day Blog: 3PO Protocol Droid (White). It's a Disney exclusive sold in pieces. Read the whole review. 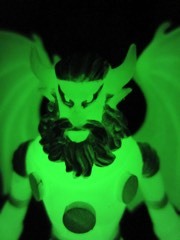 Via the Outer Space Men News blog: Coming in July - Outer Space Men Cosmic Radiation Electron+. You know the drill - it glows, it's a bit better than the last one, and it matches the entire clan of Cosmic Radiation figures. It's great! Our review is going up July 7 so you can read it the morning before it goes up for sale. Unless it goes up early again. 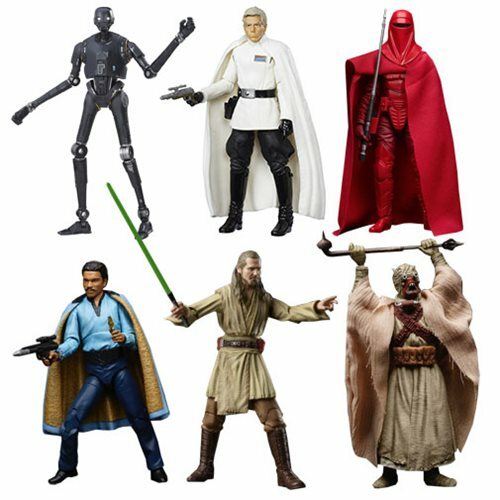 Ad: Pre-Order new Action Figures from Entertainment Earth! 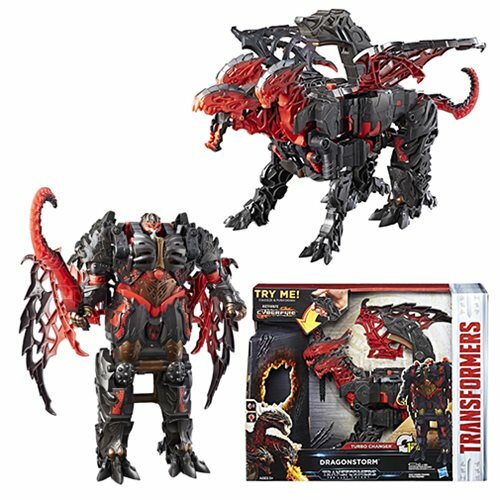 New The Black Series 6-inch figures join and Transformers: The Last Knight leader-class toys as well as a new Trypticon! Also don't miss Comic-Con Exclusives from Entertainment Earth too! Super Mario, Wonder Woman, Star Trek, Deadpool, and more await you. "The city is being invaded by monsters from the Upside Down World! 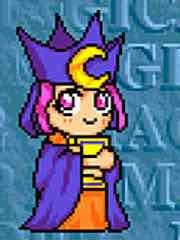 You, the Potion Master, must defeat evil all alone, with no tutorials or "Easy Mode" to assist you. 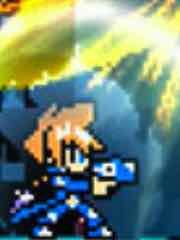 You'll have to rely on the help of Fay, your companion fairy, and your potions! Jump and shoot like they did in the good ol' arcade days. 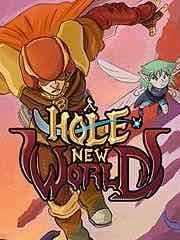 Fight enemies in your world and in the Upside Down World! Defeat gigantic bosses and acquire their powers!" Also available: Cars 3: Driven To Win, Prison Architect: All Day And A Psych, Kholat, ACA NEOGEO KING OF THE MONSTERS, and Air Missions: HIND. New-ish! 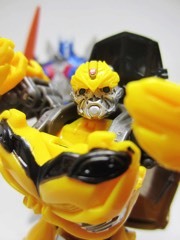 The Hasbro Transformers The Last Knight Premier Edition Bumblebee is a pretty sharp redeco of a toy from the last movie. So read on, and come back next week for more! 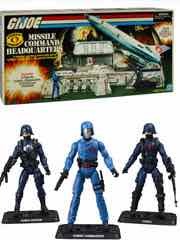 Via Hasbro and my Tumblr: G.I. Joe Cobra Missile Command Headquarters. It comes in a faux-aged box, with three figures and a cardboard playset. Just like the original! The $50 set isn't a terrible deal - 3 figures and a cardboard diorama, that's actually a decent value. This week's 3DS offerings: River City: Knights of Justice and I am an air traffic controller AIRPORT HERO OSAKA-KIX. This week's batch of titles on the eShop: Mutant Alien Moles of the Dead. 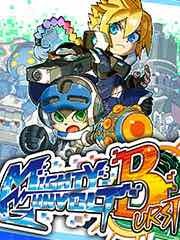 This week's batch of titles on the eShop: Mighty Gunvolt Burst and Sengoku. Surprise! 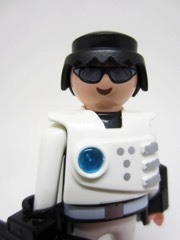 The Playmobil "Fi?ures" Figures Space Ranger looks like a space guy or one of the guards from The Hunger Games. So read on, and come back tomorrow for more! 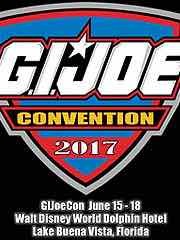 Via Joe Battle Lines: Joe Con 2017: News from the G.I. Joe Collector�s Club roundtable. There is news, but you're not going to like it. Highlights include that 2018 will be Fun Publications' final G.I. Joe convention. 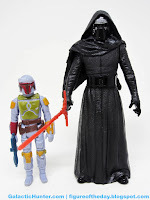 Hasbro has no plans to return Joe to retail stores until a movie. 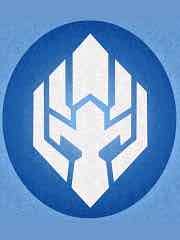 New club figures were revealed like Extensive Enterprises Tomax. 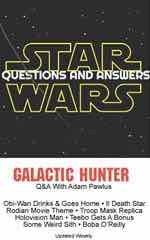 Hascon will have an event that boasts the "Largest gathering of G.I. Joe creators ever assembled." How did we all miss these? Our pal Victoria of Victoria's Cantina went to Japan and took all sorts of toy photos, including a set of dinosaurs I'd never seen before from TakaraTomy. Interestingly, it's part of a whole toy animal line - it's easy to forget they're a toy company that makes stuff for kids! 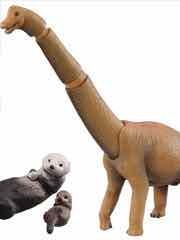 Takara-Tomy has a site showcasing the current line but it's been around for a while with multiple whales, dinosaurs, and other animals in the $10-or-less range. You can find these at Amazon or HobbyLink Japan or eBay, but it's worth researching prices before buying - some are going for a big markup on one marketplace but not another, and many are long sold out. It also has the greatest name I've ever heard in months - Legendary Phantom Beast Special Set. This is a dragon, a unicorn, and a Phoenix in a box for about $15. You should also follow her Twitter because it's full of good stuff. Star Trek in September now? He is Groot! 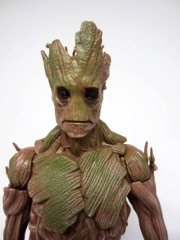 The Hasbro Guardians of the Galaxy Marvel Legends Infinite Series Groot is, surprisingly, still possibly at a Target near you in pieces. So read on, and come back tomorrow for more! 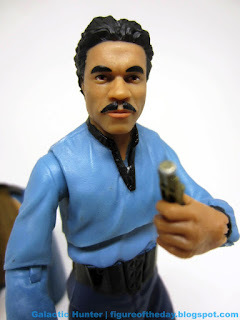 Via the Star Wars Galactic Hunter Figure of the Day Blog: Lando Calrissian (The Black Series) . He has some decent gear here. Read the whole review. I'll be buying. I'm also very aware that this is more than I paid for the game cartridge, but can you blame me? Red! The Hasbro Transformers Generations Titans Return Roadburn is not Cliffjumper, in a surprise twist of events. So read on, and come back tomorrow for more! 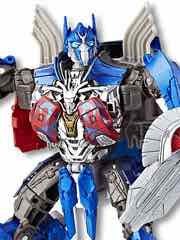 New SDCC Reveal - Transformers Optimus Prime... the next one! 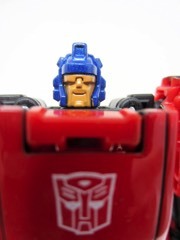 Via Tumblr and Hasbro's PR: TRANSFORMERS PRIMITIVE OPTIMUS PRIME Figure. In many ways, this is one of the best exclusives. It's a weird, branded thing that you will love if you get it and may not miss if you don't. It has a skate board and skate ramp. Also, it's really reasonably priced at $50. You'll want a closer look at this one, particularly his new tiny buddy Shreddicus Maximus. 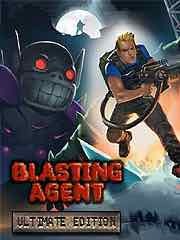 New to the Playstation 4 this week: Blasting Agent: Ultimate Edition, Dead by Daylight: Special Edition, Digerati Bundle 5 Pack Part 2, Dungeon Defenders II, FINAL FANTASY� XIV Online Complete Collector�s Edition, The Girl and the Robot, God Wars Future Past, Island Flight Simulator, I Want to be Human, Lili: Child of Geos, MXGP3 � The Official Motocross Videogame, Nex Machina, Raiders of the Broken Planet, Tinertia, Tour de France 2017, and ACA NEOGEO MAGICAL DROP II. But what of PS VR? Chess Ultra, and Air Force Special Ops: Nightfall. New to the PSP Vita this week: Blasting Agent: Ultimate Edition and God Wars Future Past. Slimed! 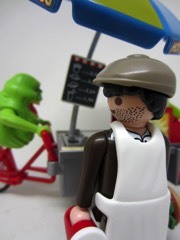 The Playmobil Ghostbusters 9222 Slimer is an existing mold re-outfitted to work for a movie line, including a new Slimer and little green slime pieces you can stick to flat surfaces. It's neat. So read on, and come back tomorrow for more! 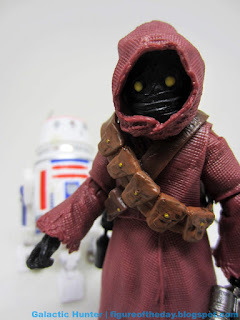 Via the Star Wars Galactic Hunter Figure of the Day Blog: Jawa (The Black Series / 40th Anniversary). It has glowing eyes! Read the whole review. 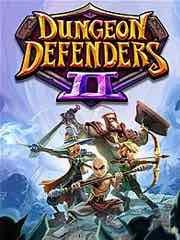 "Dungeon Defenders II is an Action Tower Defense game, packed with classic roleplaying elements like loot, leveling, and pets. 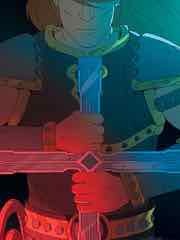 The Old Ones� armies have invaded Etheria and it�s up to you and your friends to push them back! 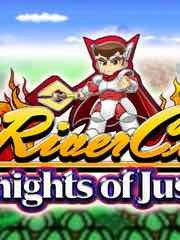 Create and level a team of heroes to take into battle. 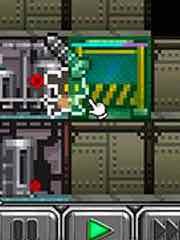 Then freeze, burn, and electrocute enemies with your deadly defenses or jump into the action yourself to finish them off! Play by yourself or alongside friends, with up to 4 player online and 2 player local (splitscreen) Co-Op." 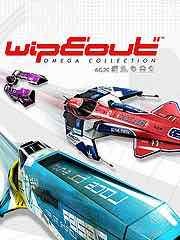 Also available: Super Bomb Rush!, MXGP3, Air Guitar Warrior Gamepad Edition, ACA NEOGEO MAGICAL DROP II Is, Tour de France 2017, Outbreak, and Dead By Daylight: Special Edition. It's Will! The Funko Pop! Television Stranger Things Will Pop! 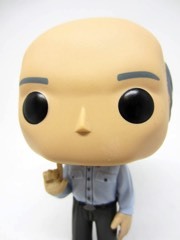 Vinyl Figure is based on the original show, except he won't disappear after the first episode. So read on, and come back next week for more! 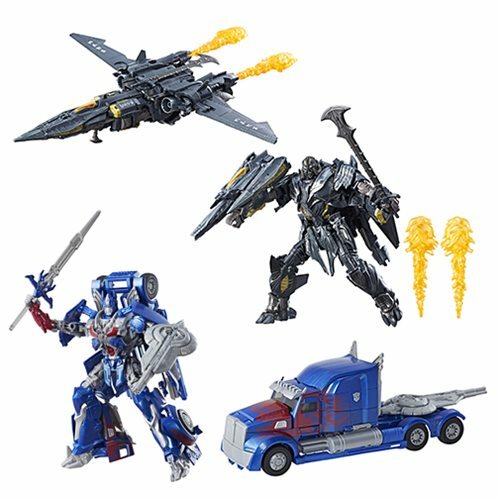 Ad: Pre-Order new Transformers and Entertainment Earth! Megatron and Hound voyager-class toys are in stock now. Also, Playmobil Ghostbusters toys are up for pre-order at Entertainment Earth right here. 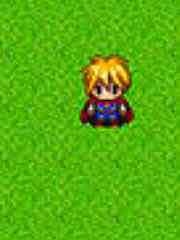 This week's 3DS offerings: RPG Maker Player. This week's batch of titles on the eShop: Daikon Set. 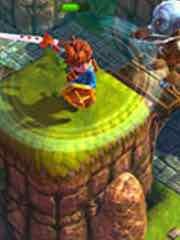 This week's batch of titles on the eShop: Oceanhorn: Monster of Uncharted Seas and Fatal Fury 2. 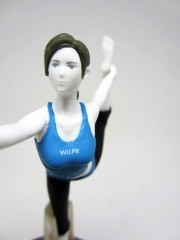 The only Wii Fit figure? The Nintendo Super Smash Bros. Wii Fit Trainer Amiibo is awesome and long gone - but it's not too expensive if you want to track one down. So read on, and come back tomorrow for more! 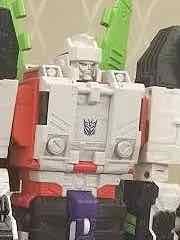 Via the Allspark and Pete's Robot Con: BotCon 2017 Exclusives � What Could Have Been. Megatron and Gutcruncher were two new concepts for this unreleased boxed set, the mock-ups of which were given away as a prize at the show. Neat stuff, to be sure. Also exciting, the slides from the Pete�s Robot Con: The Making of a Club & Convention Exclusive	panel. There's a lot here - tons of ideas from 2011, plus a list for what could have been the next subscription service... which had some weird and tantalizing ideas, like a Combiner Wars Thrust from Beast Machines. 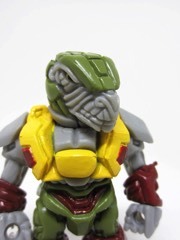 Via the Glyos News Dump: June 29: Onell Design Drop. What's coming? 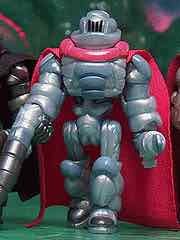 Apparently Outer Space Men (maybe Mystron! 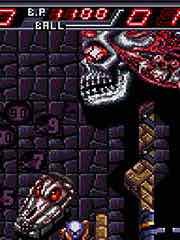 ), Varteryx, Skeleden, Skullboto (? ), and maybe even cloth parts when it will be up June 29 at 9:30 PM Eastern. Tanks for the redeco! The Hasbro Transformers Generations Titans Return Decepticon Quake is a sharp, modern-looking take on the Glyos Beast body. So read on, and come back tomorrow for more! 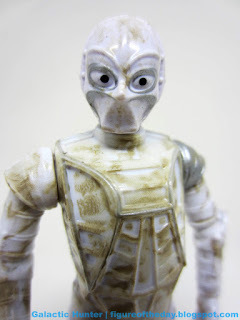 Via the Star Wars Galactic Hunter Figure of the Day Blog: CZ Series Communications Droid (White, Droid Factory). 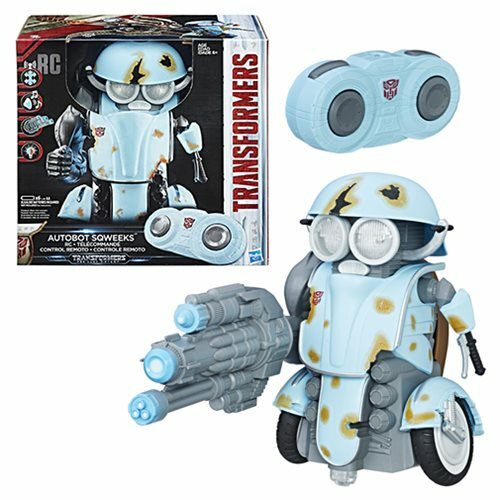 It's a Disney park exclusive, and looks a lot like CZ-4 from Hasbro a few years back. Read the whole review. 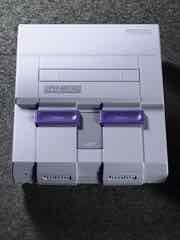 Via Nintendo: Super Nintendo Entertainment System Classic Edition. It costs more than the NES Classic Mini, but it has a second controller included and better games overall. If you can find it, it will be $79.99 on September 29, 2017. The value is real - the unreleased StarFox 2 is icing on the cake. 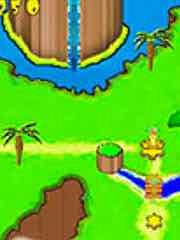 You also get most of the games you would expect (Super Mario World, Donkey Kong Country Zelda, Super Metroid) but some surprises too like Secret of Mana, Final Fantasy III, Mega Man X, and even Earthbound. As third-party games go you really see where Nintendo's bread is buttered with Konami, Capcom, and Squaresoft (Square-Enix). Of course, Japan's Super Famicom has different games but seemingly nothing egregious is being released in one region, but not in another. In the interest of editorializing, the higher cost and forced bundling of the second controller is a good idea - Nintendo doesn't benefit when market speculation takes place, and I never once saw a spare controller for last year's model. If the $80 price tag slows up hoarders and clearing-out of the shelves, I'm all for it. Here's hoping a future NES Classic is similarly priced a bit more expensively... and hopefully includes enough interesting new software to warrant another run. My only real complaint with this is that the three-player Secret of Mana will most likely be capped out at two. 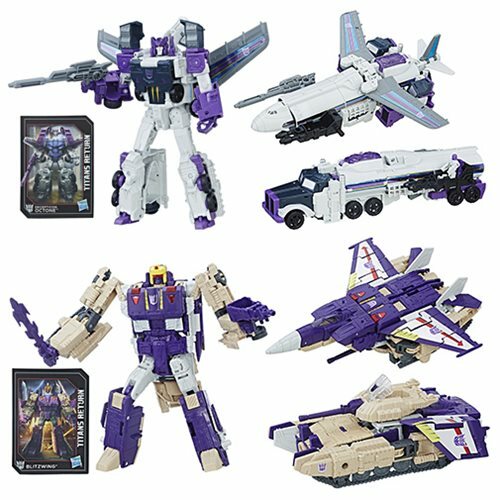 Ad: Pre-Order new Transformers from Hasbro and Entertainment Earth! 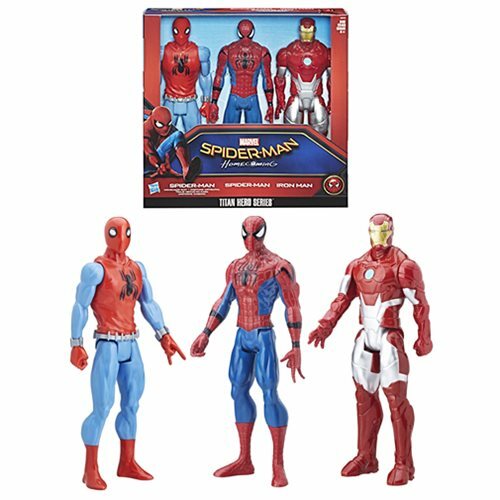 New toys, magnets, and other related items are up so just click and find a ton of the very best from Entertainment Earth right here. 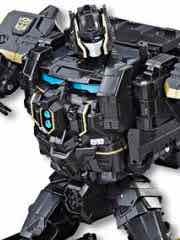 Also Pre-Order Transformers The Last Knight Premier Voyager Wave 3 Case from Entertainment Earth! No images yet of that one. Grey! The Onell Design Glyos Neo Granthan Rocker is a cool tribute to a classic action figure, and Onell Design has yet more figures coming out Thursday night - that's tomorrow! So read on, and come back tomorrow for more! 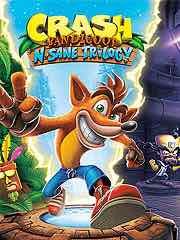 New to the Playstation 4 this week: Aerea: Deluxe Edition, America's Army: Proving Grounds, Ancient Amuletor, Cavernous Wastes, Crash Bandicoot N. Sane Trilogy, Cryptark, Danganronpa Another Episode: Ultra Despair Girls, Dark Arcana: The Carnival, Diablo III: Eternal Collection, Elite Dangerous, The Golf Club 2, JumpJet Rex, Medieval Defenders, Micro Machines: World Series, Plague Road, Poi, The Tenth Line, Valkyria Revolution, The World of Nubla, and Arizona Sunshine. 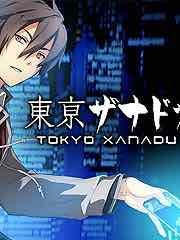 New to the PSP Vita this week: Tokyo Xanadu, and Valkyria Revolution. Available now! 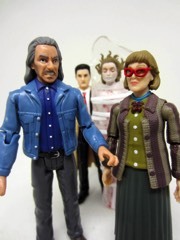 The Funko 9POA Twin Peaks Action Figure Set is based on the original series, and so far are the only known action figures based on the show. So read on, and come back tomorrow for more! 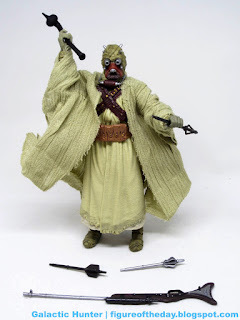 Via the Star Wars Galactic Hunter Figure of the Day Blog: Tusken Raider / Sand People (The Black Series / 40th Anniversary) . It's available in regular and retro packaging. Read the whole review. 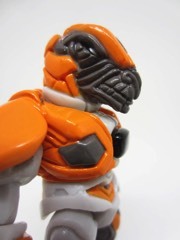 Via the Glyos News Dump: Knighty-Glyknight Glyos Figure Preview. This is just one of many new figures hitting at 9:30 PM Eastern tonight. But who will join them? We don't know. Ad: Pre-Order new Playmobil Toys and Figures from Entertainment Earth! New Playmobil Ghostbusters sets join four decades of awesome toys to form one of the biggest and best toy lines of all time. Also don't miss How to Train Your Dragon sets, too! Toothless, Bucket, and more joint the fray this Fall. "Join Aiden, Mr. Jenkins and a host of other cute, fun-filled characters in Crazy Strike Bowling EX, a wacky bowling game fit for the whole family! Get a strike in new and distant bowling lands from the exotic forests of the Amazon to the pyramids of Egypt!, battle your friends in exhibition or battle mode, or dodge obstacles in challenge mode! Go crazy and use your character�s special move to knock those bowling pins into oblivion while unlocking secret worlds and costumes! 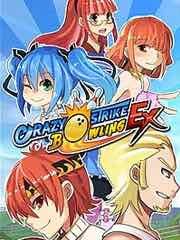 With level-ups, Crazy Strike Bowling EX is a strike for all ages!" Also available: Poi, Valkyria Revolution, The Golf Club 2, Broken Age, and Diablo III: Eternal Collection. Bagged! 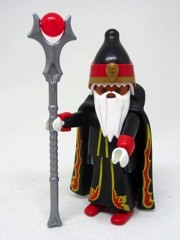 The Playmobil "Fi?ures" Figures Fire Wizard is pretty good, and you'll want one. So read on, and come back next week for more! 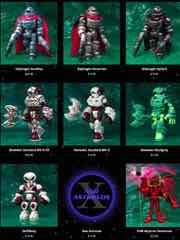 Via the Outer Space Men News blog: Glyos Onell Design June 29 2017 Drop Menu. Fantasy figures, skeletons, and the devil himself- or rather, a red version of the man from Hollow Earth - make appearances this time. This week's 3DS offerings: Mighty Gunvolt Burst. The store for New 3DS has 6180 the moon. This week's batch of titles on the eShop: Preston Sterling. This week's batch of titles on the eShop: Magical Drop II and GoNNER.